I make no secret of the fact that I am a bit of a nerdy bibliophile: case in point, I have a book journal where I record all the books I have read —yep, a whole book just for my books! But in truth, its not really about ticking through title after title, for me its as much the feel, smell, weight and paper of a good book that’s important as the content. E-readers and Kindles are nice and portable and can store thousands of books, blah-di-blah, and if I had 10p for everyone who has tried to convert me I’d have at least 50p in my wallet, but in my heart they will just never quite replace a good old hard backed book. I know its a bit dorky but I can’t help it. Nigella Lawson’s library which I covet! In the end it all worked out for the best (as these things tend too). Turns out the world had a different career plan for me, which I love. But, in the background I have still always held on to a bit of a paper bug, which manifests itself as me spending hours umming and ahhhhing over stationary and sketch books and anything paper. So, this is all a pretty circuitous way of saying that eventually, a few weekends ago I got my chance to actually give it a go and went for a day long course to Owl and Lion in Edinburgh. Owl and Lion is the sweetest little book bindery shop and workshop in Edinburgh’s Grassmarket and is owned by Isabelle Ting, who was recently featured on Kirstie’s Homemade Home (which in case your not from the UK, is a totally brilliant tv show featuring ‘Kirstie’ who tries out new crafts … as you can imagine, its one of my favourites!). 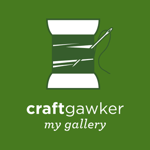 Owl and Lion also have a lovely website and I totally encourage you to check out . So, after all that how did it go? Well, I’m pleased to report it was GREAT! Literally everything I had hoped for and I loved every single minute (Phew, imagine if I hadn’t liked it after all that!) 😀 Plus, I finished with a book which looked very presentable, even if I do say so myself, and am totally desperate to have a go now at home and to learn more! So I thought I would be fun to share the process I learned on the day to make the book, in the hope that I might demystify the process a bit and that you all might be inspired to give it a go (or at least learn some more for yourselves) :D. It is a bit of an involved process start to finish, but actually not quite as puzzling as I had always imagined. Books are, of course, made out of pages. The sketch book we made in class had 48 pages, made by taking 24 double sized pieces of paper, folding them in half and collating them into 12 packets of 2 pages each. Thankfully the paper was already cut to size for us, so we just had to fold the 24 pieces of paper in half, using a bone folder to smooth the crease so that you get a nice crisp edge. 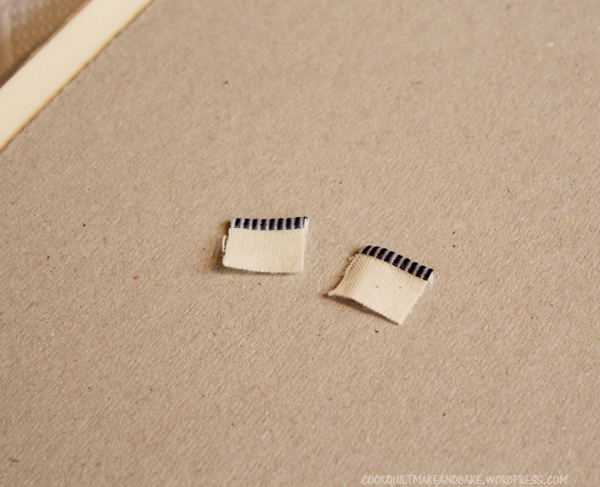 The next step is to make holes in all your pieces of paper as a guide for sewing. In order to make sure that the holes (and thus your sewing) are nicely lined up, without having to measure and mark each piece of paper individually, we made a template. Take a piece of scrap paper the same length as your page, and fold it in half. Then mark along the crease 6 holes (you made need more if you are making a very tall book). The top and bottom hole should be around an inch from the top and bottom of the page. The others should be roughly evenly spaced in between. 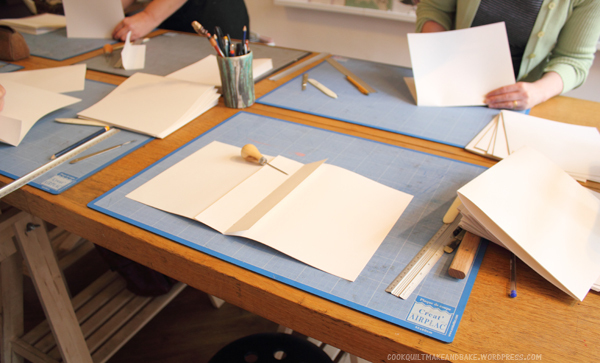 Taking each of your bundles of 2 sheets, line the template up inside their center crease. 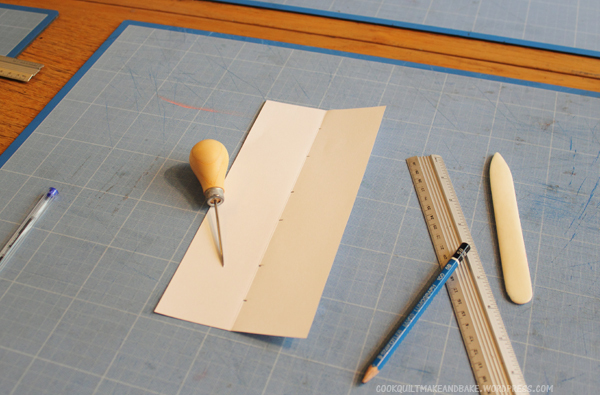 Using an awl, make a hole through the marked template hole into the 2 sheets. This hole is used as a guide hole for your sewing. 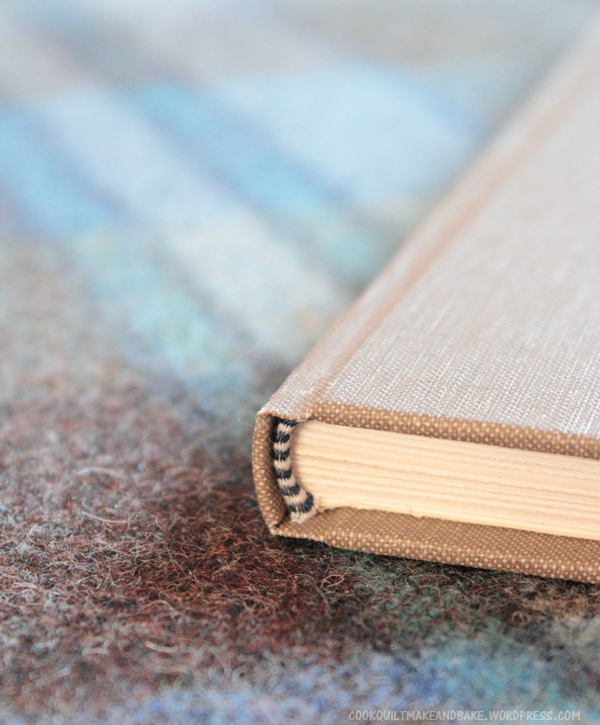 The books are sewn together, one set of pages at a time. 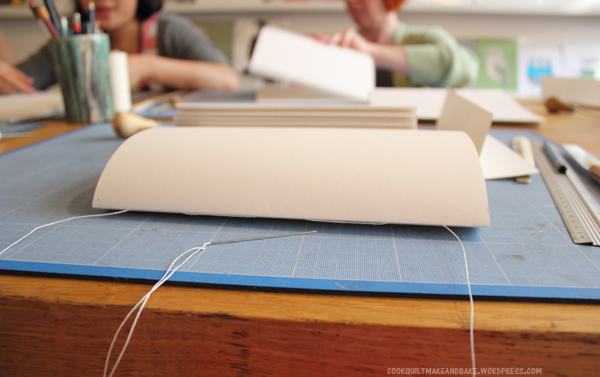 In class we used a special book binding needle (which is very thick and long) and a waxed linen thread. The sewing stitch we used is known as ‘kettle’ stitch, although there are lots and lots of different stitches and techniques used for sewing together pages in book binding. Each hard backed book has 2 cover papers, one for the front and one for the back, which attaches to the front page of the book pages, and the hard back cover. Cover pages are often made with special papers and traditionally may be marbled. They are cut to be exactly the same size as your booklet pages. 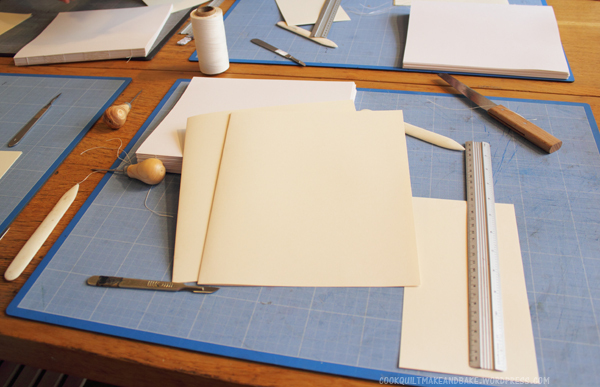 You attach your cover paper to the front and back of your booklet bundle, using specialist book binding glue. There are a whole world of specialist glues used in book binding, but the one we used in class was a wheat starch paste. 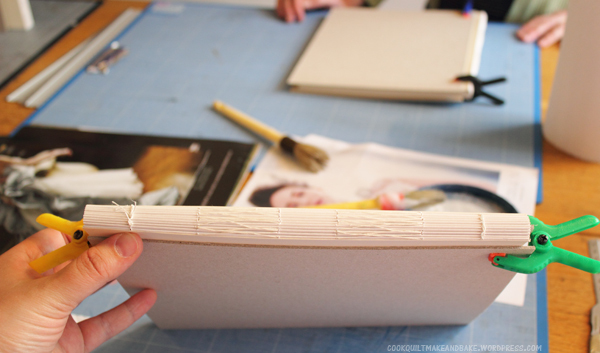 Just run a thin swipe of glue down the spine edge front and back and stick your cover page to the thin glue line. 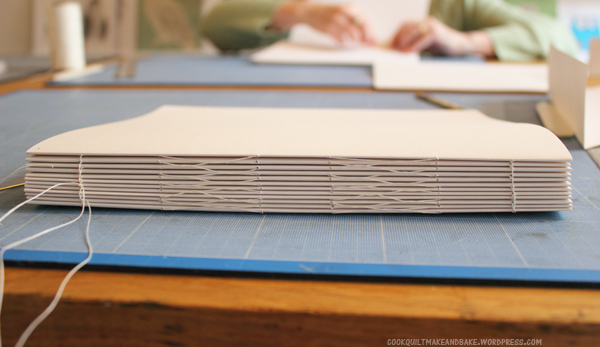 The next step is to shape your pages to give your spine a nice curve. We rolled our booklet around a dowel and then clamped it between grey board to hold the pages in shape. The next stage is to run glue along the edge of the spine. Using a soft bristled brush, apply the glue all along the spine in generous quantities, making sure to get in and around all the of stitching. Then using a finger scrape off as much of the paste as you can so that there is no excess left of the spine. Bookbinding head bands are one of those things you barely notice about a hard back book but help to tie it all together and look finished. They are a cotton tape with two colours of silk thread sewn along the top. 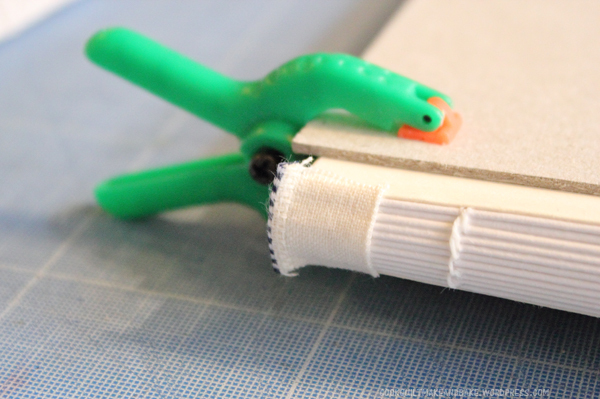 Each book needs two headbands cut, one for the top and one for the bottom of the spine. Measure just a much as you need based on how wide your spine is and glue it to the spine using PVA. 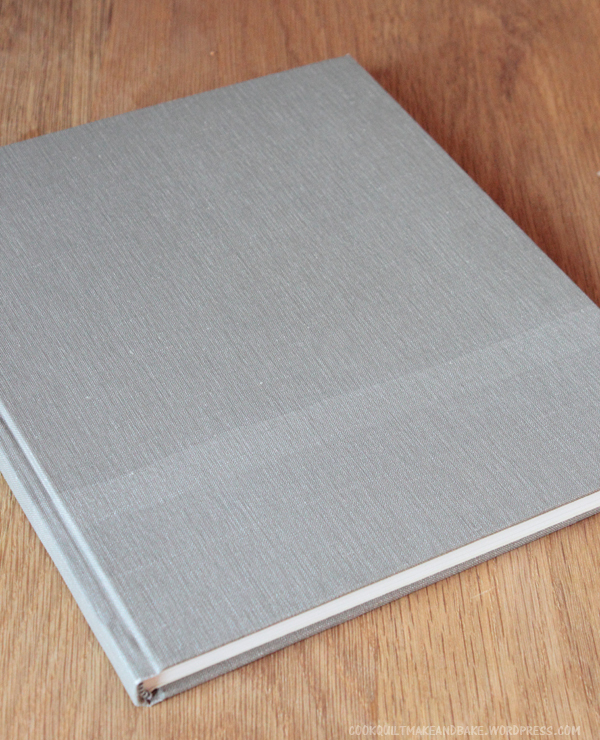 Hardback covers are made of two thick pieces of grey board for the front and back and one thinner piece of grey card for the spine, glued to a piece of fabric (usually a specialist book binding cloth or buckram). 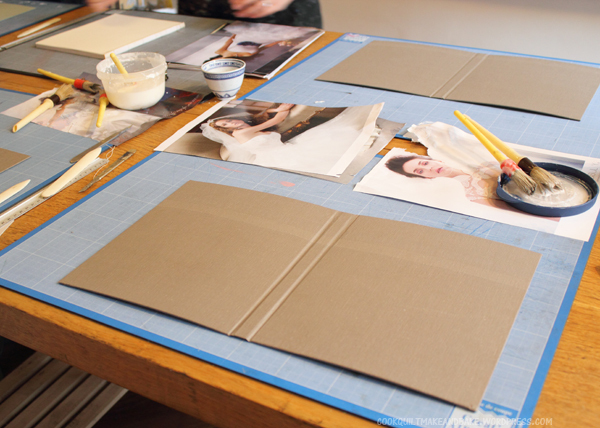 The grey board is cut to be around 1/8th inch bigger all the way around than the booklet which sits between it. The spine piece of card is cut to be exactly the same size as the width of the spine and the same length as the pieces of grey board. You want to lay the pieces out side by side (as if looking at the open book) with around a 1/4 inch gap between each piece. 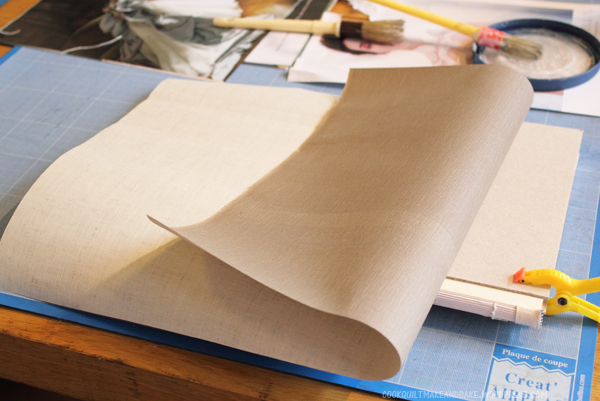 Then cut a piece of bookbinding cloth big enough to give you a 1.5″ seam all the way around the edge. The next step is to paste the wheat starch paste in a thin layer across the whole of the piece of fabric, and then carefully lay your pieces of board on the fabric in position. Carefully, without getting too many bubbles between the gluey cloth and the board fold the edges of your cloth round and over the board around the edges. A tip we were taught is that smoothing it with the bone folder as you go helps to keep the edges nice and crisp. This board/fabric cover now needs to go somewhere flat to dry for a few hours. The last step is to attach your two bits together. 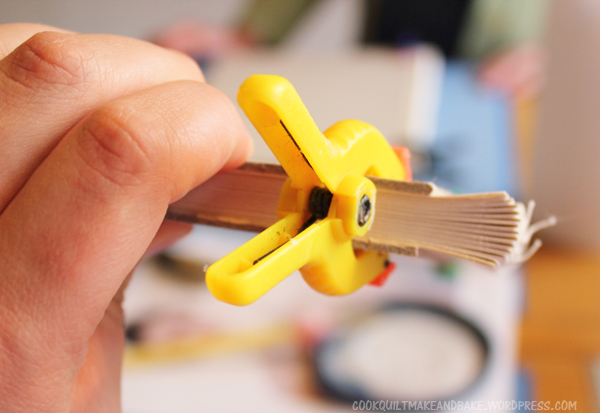 Both the book of pages and the cover should be mostly dry from glue. To attach them you want to spread a thin and even layer of glue onto the top page of the booklet and to the back page of the booklet. Now carefully place your book inside the cover and press with a heavy weight so that the booklet dries in place inside the cover. You don’t need to glue the spine. And there you have it – TAHDAHHH! 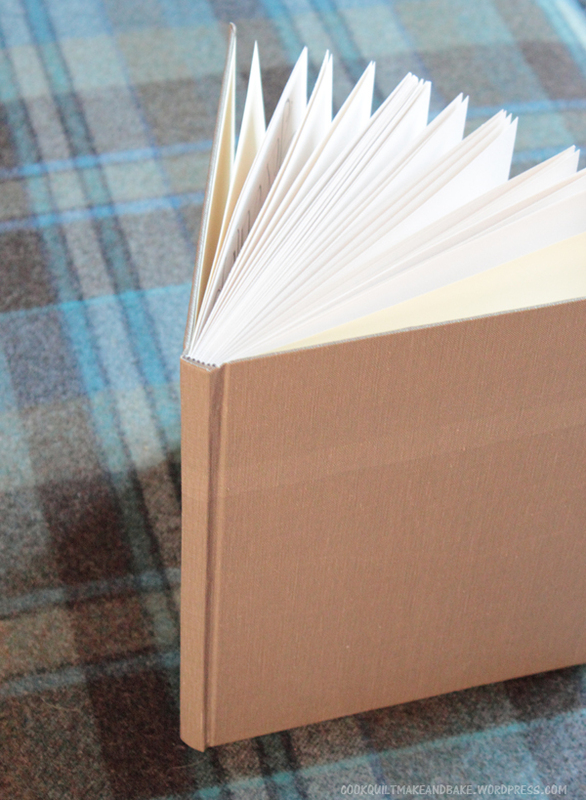 A finished hard backed book. Phew. If your still with me I’m totally impressed. It took us all day to make our book so it probably took you a loooong time to read this post. As I mentioned before, its a super involved process and one which is so much better taught in person. But, the good news is that I’m now a bit hooked and am looking for other courses to go on to learn more skills! Turns out learning from someone who really knows what they are doing makes all the difference in the world. We hope your all having a lovely weekend! 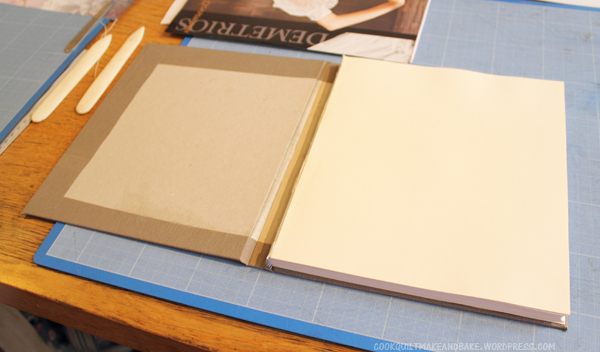 This entry was posted in Make and tagged bookbinding, books, buckram, craft, diy, journal, sewing, sketchbook, stationary, tutorial. Bookmark the permalink. 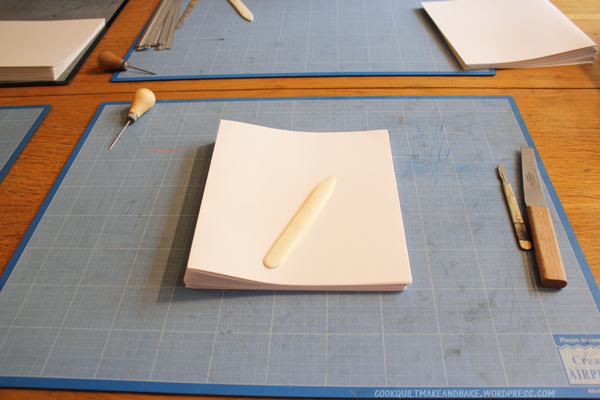 12 Responses to Make: Book Binding Tutorial! Sounds really interesting and fun, i would love to attend to that kind of class unfortunately there are none where i live. Wow, your book is beautiful! I too love handwriting and stationary. Thanks for sharing the tutorial, I think I am going to try to find a class around here! lovely! I am excited to move up and branch out and make these types of books. the grey board where would I get it from what type of store in the states? and the cloth for cover? mainly and hints or tips would be appreciated on where to get all the materials would be most helpful. thank you sooo much for posting this!!! 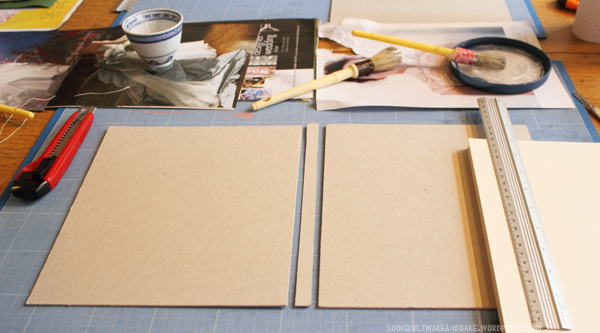 paper source carries bookboard, and it’s quite inexpensive! you can buy it on their website, too. You make it look easy! It’s nice to know there are others who still like to hold and read the actual book. I hope no one ever decides we don’t need books anymore and it can all be digital, ’cause it just isn’t the same. A kindle would be handy for carrying a few books when you travel or are in a place where books would not be practical. But I need to hold – and use – the real thing.